Make check out to "GRRoM"
On Memo line, please write "Rosie's Fund"
Thank you for your Donation! It is truly appreciated. You DO NOT need a PayPal account to donate with a Credit Card. Just choose "Donate with a debit or Credit Card"
after clicking the button below. 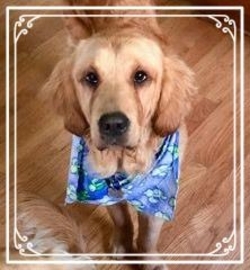 I am Rosie, a 1 ½ year-old golden retriever. I first want to say "thank you" to GRRoM and my foster family for rescuing me and helping me after I was given up by my family because of my health problems! I heard them say that, "I was skinny, had weepy eyes, bad hips, extra baby teeth, and intestinal problems. Now, I hear them say I also have a liver shunt - a birth defect that allows blood to bypass my liver so toxins aren't removed like they should be. It looks like I'm going to need a very tricky surgery soon because my condition is serious. But I'll get back to that in a minute. My wonderful foster family says, "I'm sweet as can be, I listen well and travel like a champ. I play and get along well with other dogs and I'm a fast learner". When I turned 1 year-old last December, they gave me a birthday party with a yummy cake, a new bed and new stuffies that I love to carry around. They've been so good to me. But these past few months have also been quite a challenge. They first checked out my hips and found that I'm missing a hip socket on my right side. I get adjustments with Dr. Kern and physical therapy at home while they work on my other problems. This is really helping my discomfort and I'm getting stronger. My intestines were inflamed and the doctors originally thought I had inflammatory bowel disease. They treated me with steroids that caused me to lose most of my fur. It's finally growing back! After a couple months of treatment for other conditions they thought I had, my red blood cell count was still dangerously low. That's when GRRoM decided to take me to a new vet - thank goodness! Dr Marshall (Hollow Corners Veterinary Services) figured out that I had an infection in my intestines called coccidia, which caused the inflammation. She gave me medication for this and also put me on thyroid medication. The good news is that I am no longer anemic and my blood proteins and thyroid are both in the normal range. But the not-so-good news is that my liver enzymes were still high. That's when Dr. Marshall suspected that I had a liver shunt. She sent us to the Animal Surgical Center of Michigan to see their internist, Dr. Serafin. The CT scan they did confirmed that I do have a liver shunt. 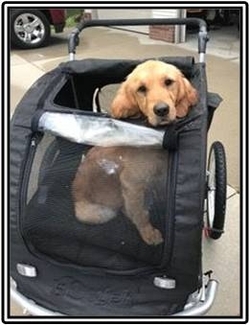 Dr. Degner, the surgeon at Animal Surgical Center of Michigan, studied my situation closely and said the surgery was more complicated than he first thought and recommended we go to Michigan State University Veterinary Hospital. My surgeon at MSU, Dr. Beal, studied my CT scan and is conferring with another surgeon in South Carolina before performing my surgery. I heard this surgery will cost between $5,500 and $7,500. Without this surgery, my life is in danger. After I recover, I will still need treatment for my other health problems before I can be adopted into my forever home and family. As you can see, GRRoM is committed to helping me get healthy. As for what I can do, I'll keep my spirits up and cooperate with everyone. Any donation you can make to the "Rosie Fund" would be so appreciated. Thank you so very much for reading my story. I promise to keep you updated on my progress. PS: Please share my story with friends and family. Thank You!